Robertson Ranch in Carlsbad is in full production of the new homes being built by Toll Brothers. After a few years of moving dirt and building the infrastructure all four of the new home communities are selling. 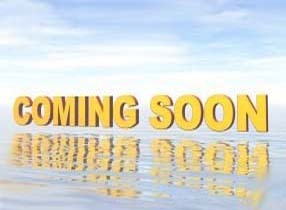 As I stated in an earlier post that “these homes will be hot sellers”. There is no doubt this is the hottest selling new home community in the area. With most of the new homes in Carlsbad for the past few years it has been almost impossible to find a new home for under $1,000,000. At Robertson Ranch there are two communities selling under $1M. Starting prices are from the mid to high $700,000s. The Terraces and Bluffs pricing will start from approximately $1.2 million. Just last month, 6 new model homes opened for The Vistas and The Ridge. Homes in both are projected for move-ins this summer. The Terraces and The Bluffs are selling homes now, prior to the model homes being completed. Robertson Ranch is located approximately 3 miles from the Pacific Ocean Beaches and downtown Carlsbad. Upon completion it will consist of approximately 308 single family homes in four new neighborhoods. The community will feature a resort style recreation center with a swimming pool and spa. Also, covered cabanas, an outdoor fireplace and multipurpose room with a kitchen. There will be parks scattered throughout the community. Right next door is some of Carlsbad’s finest open spaces for hiking and biking. 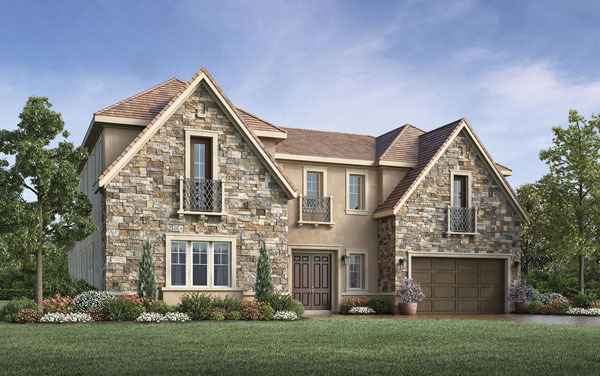 The Ridge at Robertson Ranch features 87 New single family homes. The one and two story homes with 3 to 5 bedrooms and 3 to 4½ bathrooms range in size from 1,578 to 2,950 square feet. All homes will have 2 car garages. 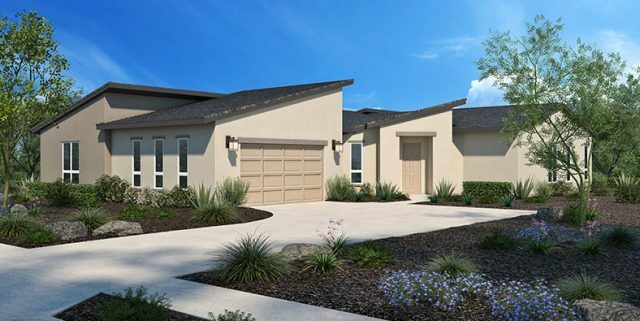 These new homes in Carlsbad at The Ridge will offer 5 floor plans. One home design will be a single story home. Homes will feature downstairs bedrooms with full baths. The Cadencia plan will feature a downstairs master bedroom. Most noteworthy are kitchen pantries (per plan), kitchen islands, 2nd floor lofts or bonus rooms and walk-in master bedroom closets. The Bluffs at Robertson Ranch features 36 new single family homes. This is one of two gated communities in the Robertson Ranch master planned community. The Bluffs homes are located on some of the highest homesites in Robertson Ranch. As a result, many homes will have territorial views of the surrounding hills. The home designs, which will be the largest in the community will range in size from 3,233 to 4,862 Sq. Ft. These large homes offer up to 6 bedrooms and 5½ bathrooms. Homes will have 2 to 3 car garages. Of the four floor plans offered, one will be a single story home and all others are two-story homes. 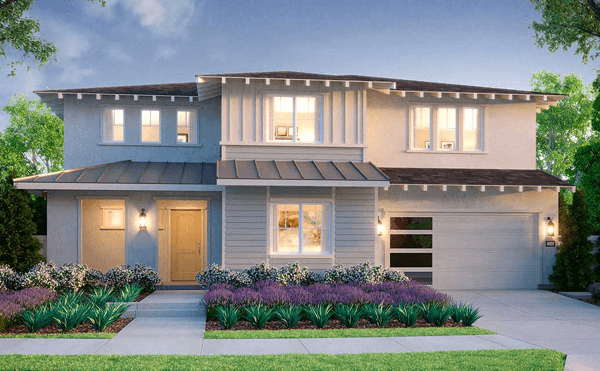 The Terraces at Robertson Ranch features 75 new single family homes in an exclusive gated community in the Robertson Ranch master planned community. The Terraces homes are located on various elevations in Robertson Ranch where many homes will have territorial views of the surrounding hills. These spacious home designs, will range in size from 2,969 to 4,667 Sq. Ft., with up to 6 bedrooms and 5½ bathrooms. Homes will have 2 to 3 car garages. Of the five floor plans offered, one will be a single story home and all others are two-story homes. Call me to schedule a tour of Robertson Ranch or any other new home community in Carlsbad and North County San Diego. 760-517-6087.